Baby Einstein's Playful Pyramid is a unique take-along toy that's made to be mobile. 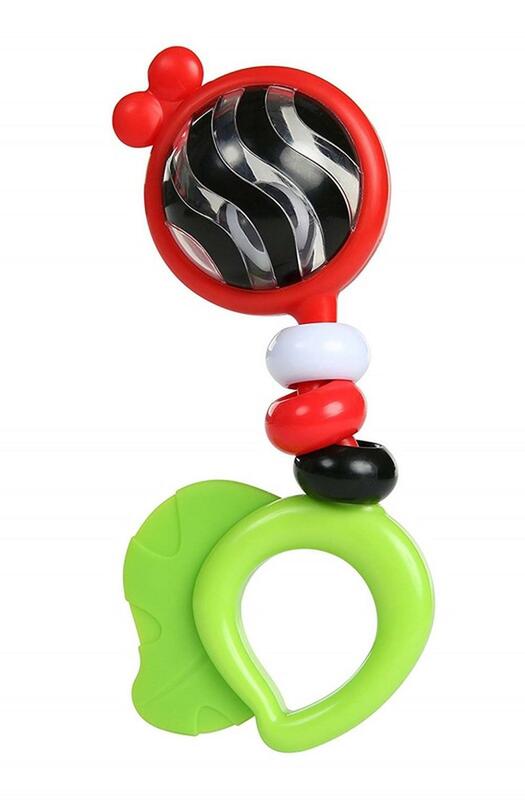 A durable clip makes it easy to attach the stroller toy to baby's favorite carrier or seat. Watch baby's eyes grow wide as they focus on the carrier toy's bold patterns and high-contrast colors. The visually stimulating design draws baby's attention as his eyes develop. Detachable pieces make this baby toy the one thing you'll need when you're on the go. A rattle, clacker and large baby-safe mirror all introduce new aspects of the world to baby. As this little pyramid dangles above your curious newborn, they'll start to see the world of adventure ahead.